Buy bitcoins from a top rated exchange today. 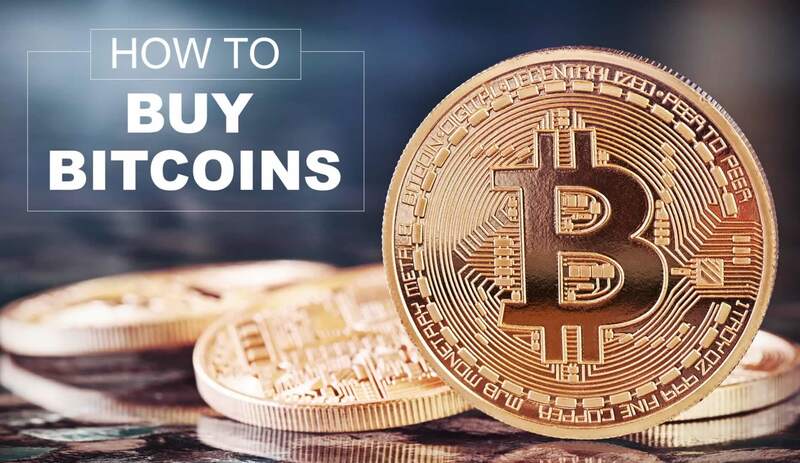 See my how to buy bitcoins guide for answers to all your buying questions. Tools for crypto beginners & active traders. Rules based marketplace focused on investors. First, choose whether to buy bitcoins with Paypal, credit card, debit card, bank wire, gift card, or cash. Then, review the pros and cons of buying from a Broker vs P2P exchange. Next, find the best price, fees, and limits available, as each exchange is different. Finally, select the best exchange for your needs and buy bitcoins now. Welcome to I Buy Bitcoins! I’m Brad the founder of this website. By now you’ve probably realized buying bitcoins can be a confusing process. Rest assured, this site has all the information you need to help you easily buy bitcoins. Continue reading this guide. It’s full of tips and tricks that will get you buying like a pro! What Makes A Legit Bitcoin Exchange? The most important part of the bitcoin buying process is choosing the right exchange. I review bitcoin exchanges to find the best and safest places to buy. I filter out all the bad, dishonest and scam exchanges so only the best are left. See my big list of exchanges to compare prices, fees and features. Before you decide on where to buy though, be sure you understand the features that each exchange offers. When you buy bitcoins, you’re really trading USD for BTC. You give the exchange dollars and they give you bitcoins. To make that trade happen, it’s really pretty easy. Basically, you find an exchange, then deposit money using one of their accepted payment methods. Decide how you want to deposit your dollars then find an exchange that accepts that deposit method. Keep in mind different deposit methods come with different fees. Should You Buy from a P2p or Broker Exchange? P2P Exchanges – Buy from another person, with the exchange acting as an escrow. Broker Exchanges – Brokers sell you bitcoins from their stash. Both of these exchange types have their pros and cons, depending on your buying goals. All trades on p2p sites are done between two people. The P2P acts as an escrow service, to assure both buyer and seller receive the asset they are due. This is how the P2P makes money by charging an escrow fee. You must have your own bitcoin wallet. A software wallet like Electrum works nicely and allows you to become your own bank. Peer to peer exchanges keep in tune with bitcoin being a peer to peer currency. It’s more anonymous than buying through a broker. How is the price determined? If you look at the price on a P2P exchange you will see different prices. These are set by the buyer and seller. All trades through a broker are done between a business and a person. When you buy bitcoin from a broker there could be fees associated when you deposit USD onto the exchange. Each exchange has a different rate for each deposit method they accept. The bitcoins you purchase at a Broker are stored in your online or hot wallet. It functions very much like an online bank account. Only keep the bitcoin you plan to spend in the near future, in your online wallet. Move the rest to a more secure hardware wallet. Use a BROKER if you’re looking to trade your btc for other assets after you buy them. How is the bitcoin price determined? You can look at 10 different broker exchanges and see 10 different prices. In essence, this means each broker sets their own exchange rate and fees. At iBuyBitcoins.com we encourage and display ratings and reviews by real users. We value your opinion. If you have an experience with a bitcoin exchange, good or bad, please visit the review page. Click on ‘User Ratings’ to leave your personal review. Click to leave Your review. Thanks for sharing your experience with other users. I buy bitcoins so I’m always looking for the best deal just like you. The bitcoin price at each exchange is constantly being updated throughout this website so you will always know who currently has the best rate. Take advantage of this and get the best deal you can, from the exchange with the best price and lowest fees. The best way to find the best rate is to compare each exchange side-by-side. Deposit Fees – Your deposit method will determine the amount of the fee. Exchange Fees – When USD is converted to BTC there could be a fee. Also called Trading Fees. Transaction Fees – Fees for processing a bitcoin transfer. Also called Mining Fees. Escrow Fees – P2P exchanges charge a fee for their escrow services. See each exchange review for a listing of relevant fees. Online – You can buy online from an exchange broker or P2P exchange. Instantly – If you want bitcoins fast, find the exchanges where you can buy now. Safely – Avoid scams and keep your information safe. Privately – Buy bitcoin without ID. Anonymously – Most exchanges are private, they’re just not as anonymous as you would think. In Person – You can meet up with someone in public or deposit to a sellers bank account. Each way to buy bitcoin has it’s pros and cons. Always do your own extensive research before making your choice. Whatever way you decide to buy, you’ll need to know how to pay for your coins. The following are the most popular payment methods / deposit methods. PayPal is one of the most popular online banking service. Millions of people from all over the world have paypal accounts. Unfortunately up until recently you were only able to buy bitcoins with Paypal through a P2P exchange like Local Bitcoins. While this is still a fine way to go about it, the rate of exchange is usually much higher because the buyer in the end could cancel the transaction and say they never received the bitcoins. Paypal usually sides with the buyer. Luckily, now thanks to several exchanges, it’s easier than ever to buy bitcoin with PayPal. When you buy bitcoin with a credit card it can be a complicated process. This is mostly because of how credit card payments are processed. Since btc transactions are non-reversible, there is no way for the seller to reverse a transaction in case the card holder disputes the sale to their credit card company. In case of such a dispute, the credit card company will likely stop the payment to the seller, and the seller will be left with no option but to take the loss. So, the seller who accepts credit card payment, is taking a substantial risk. This is why the rate with a debit or credit card is usually higher when compared to other payment methods such as bank transfer. When you buy bitcoins with a debit card you are putting yourself at risk. I’m not a big fan of buying anything with a debit card. Your protection from loss is much worse than with a credit card. However, if debit card is your only means to buy then check out all the exchanges that acccept it, because there is an ever growing number that do. Sending a bank wire to an exchange is a popular payment method. You can buy from a P2P exchange with a bank wire with little verification if any. Consequently, the price will also be competitive. Most broker exchanges also accept bank wires. At a broker you will need to submit your id documents as part of Know Your Customer regulations. When you use a peer to peer exchange there isn’t as much identification and paper work required. You can also buy bitcoins with gift card. None of the broker exchanges accept gift cards, so you’ll need to find a peer to peer market place. Here you can exchange all kinds of gift cards for bitcoin including visa, amazon, and itunes. Last, but not least there is good old cash. Ironically, cash may be the best way to buy bitcoins. The easiest way to buy in person with cash is to find a deal on a P2P exchange. Search through sellers that have an amount of bitcoin you want to buy in cash. These exchanges have a reputation system, so use that to select a trusted seller. Initiate the buy/sell and follow the instructions. Your next step will be depositing cash in the sellers bank account. This is done at a branch local to you, whether that be Wells Fargo, Bank of America, Chase, or any credit union. Cash, in my opinion, is the fastest, easiest, safest, most private, and least expensive way to buy bitcoins. When you buy bitcoins through a buying service, an exchange or a market place, they are stored online. This is called your online wallet or hot wallet. While most online wallets have encryption and other security features, there is a risk when you keep a large amount of your BTC there for the long term. There have already been many online wallet hacks and scams. You also don’t control your private keys. Therefore, the best way to protect and secure your bitcoin investment, is to use a combination of hardware wallets, software wallets, paper wallets and cold storage. Ledger – One of the most popular hardware wallets. Get the ‘Nano S’ or ‘Blue’, not the ‘Nano’. Trezor – The Trezor is gaining popular as a reliable, secure and easy to use hardware wallet for your bitcoins. Electrum – Great software wallet for desktop computer. Use this if you plan to buy from a P2P Market and don’t currently have a wallet. Accept As Payment – Accept bitcoins as payment for products and services you provide. Affiliate Programs – Use social media or setup a website and promote products and services where you get paid in btc. Learn About Bitcoin – Newbies guide to everything bitcoin.